Clean up is an accepted part of preparing meals and cooking. 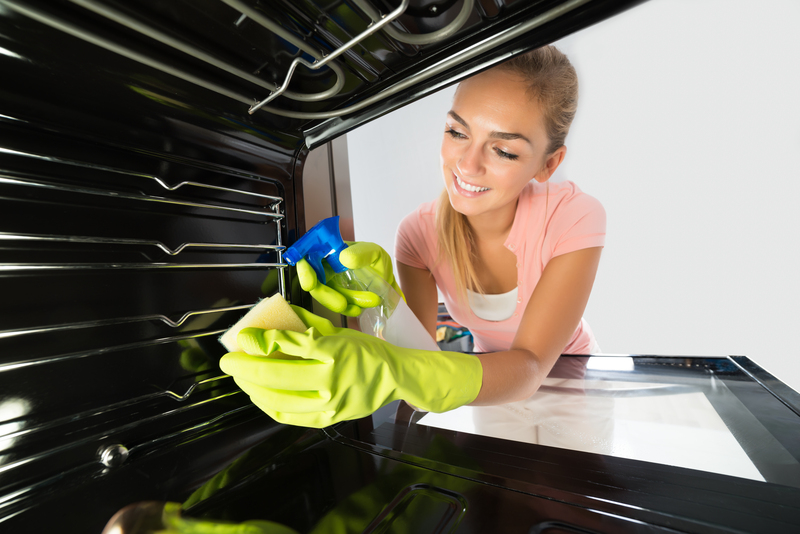 Spills in the oven only add to the time and effort required to get your kitchen clean. Prevention can simplify things a bit. 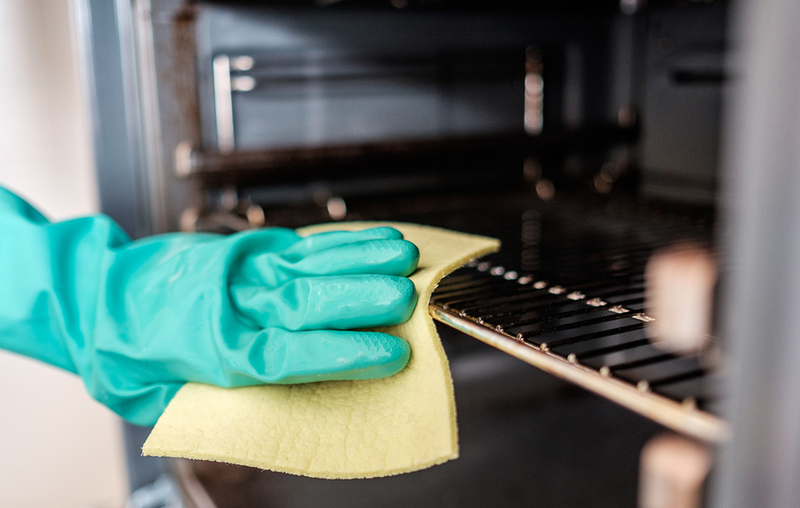 After all, cleaning an oven generally requires more work than wiping clean countertops or cleaning dishes in the sink or dishwasher. 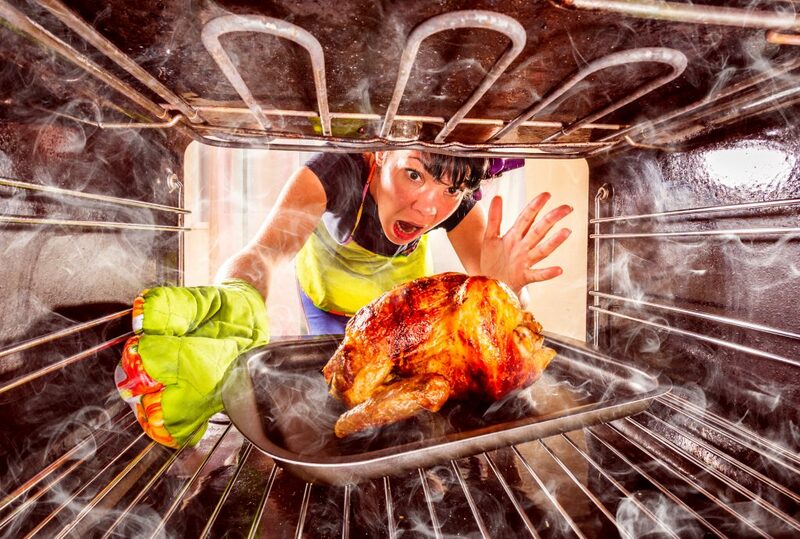 There are many ways to prevent a mess in your oven. You can practice many of these even when your main course or desert is still in there. Otherwise, grease spills, food overflows, foul odors, and smoke in the kitchen may pose a problem. In some cases, spills in a hot oven can trigger a fire. So, practicing spill prevention can indeed save you a lot of trouble. Meat, cheese, butter, and any item with animal fat can produce vapors when hot, which collect on the oven floor, walls, and racks. A fine mist of water and grease can end up becoming a hard-to-clean coating on just about everything. Covering up a dish with a lid or aluminum foil can hold the vapors inside and prevent your food from drying out. The laws of physics create conditions that cause water and grease to overflow from dishes and pans during baking. Excess liquid drops to the oven floor, burning and releasing smoke and unpleasant odors. This is easily preventable. Just rest the dish on a baking sheet, cookie sheet, or oven-safe container. You can even cover the sheet with aluminum foil making it easy to clean. Or, you can cover the rack underneath the dish. Roasting bags are effective at containing contents that can spill and cause a mess. They also keep in contents that contribute to flavor and juiciness. Use them when cooking meat, fish, or vegetables. A package of roasting bags can be purchased affordably in stores. It is easier to contain meal contents in them rather than spend extra time cleaning up your oven. Manufactured to catch oven spills, spill catchers often have a raised hollow circle to place food pans on. The design allows air to circulate while drips can be caught before they mess up the oven. Some models, designed to be easy to clean, have a nonstick surface, so if a spilled substance is burnt on, it can be removed without much effort. You can find spill catchers in many kitchen and home products stores. 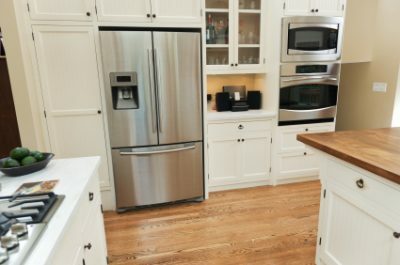 Resting on the oven bottom, an oven liner prevents spills from reaching the floor of the appliance. It is useful for an electric oven as well, when placed under the heating element. Some liners can be used with gas stoves. The manufacturer will indicate if this is so, but remember to trim any part that covers heating vents. Some models have nonstick surfaces and are dishwasher safe; always check the product label to make sure it is compatible with your oven. We service many types Wolf Oven Appliances. 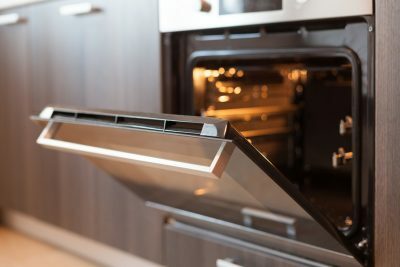 Request service if your oven seems to be beyond repair or spills and other issues have affected its performance. Our dedicated professionals can recommend and provide the best solutions, so feel free to call today!